Have an instant boost of energy in the shower with this energizing bath and shower gel from Yves Rocher. Enriched with the goodness of soothing organic aloe vera, raspberry and peppermint, this bath and shower gel is a cocktail of energy and freshness. 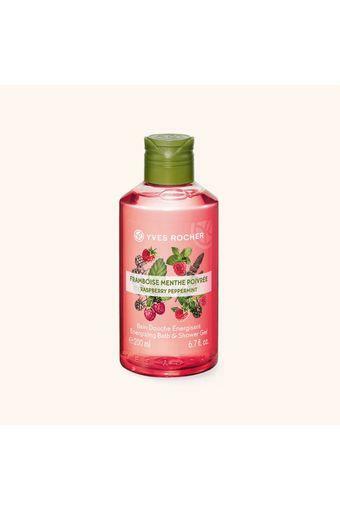 Experience the pleasure of gentle bath and shower gel with energizing benefits of raspberry and peppermint.